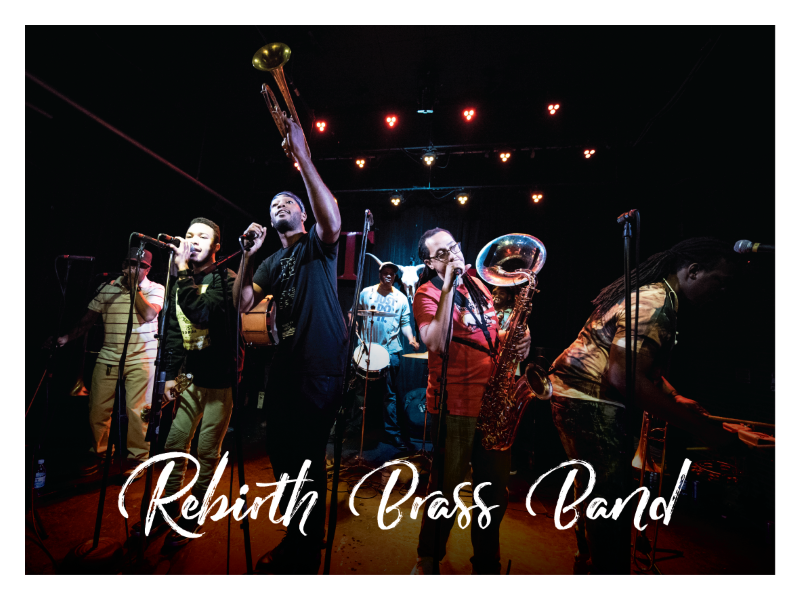 Orleans brass bands, Rebirth is the undisputed leader of the pack, and they show no signs of slowing down. themselves into the realms of funk and hip-hop to create their signature sound. the unit's talent for penning unabashed party starters. approved by the Frazier brothers themselves, of a sultry Tuesday night spent dancing on their home court at the Maple Leaf Bar in New Orleans. original material, and classic charts by Duke Ellington, Miles Davis and Professor Longhair.